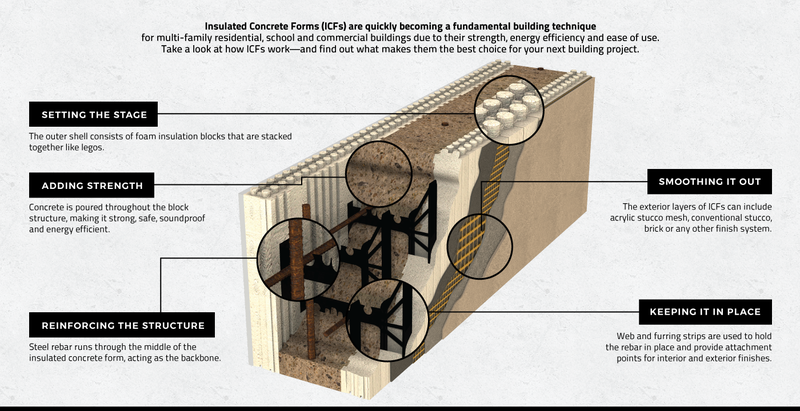 ICFs offer superior energy efficiency, durability and safety. 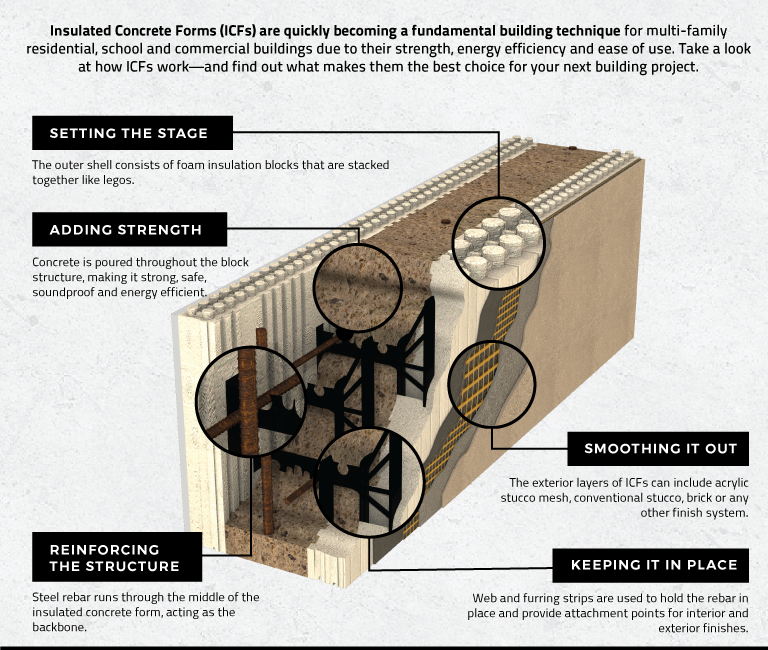 ICFs are inherently strong, green and sound-proof. Take a look at how one project in Seattle, Washington maximized strength without sacrificing energy efficiency. ICF is more resilient, efficient and safer than wood. Don't take our word for it, read a side-by-side comparison.